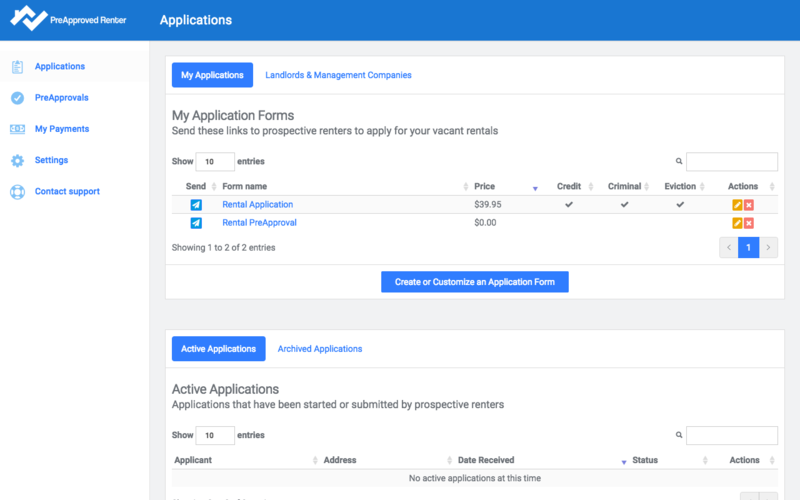 Customize your rental applications and screen tenants instantly. 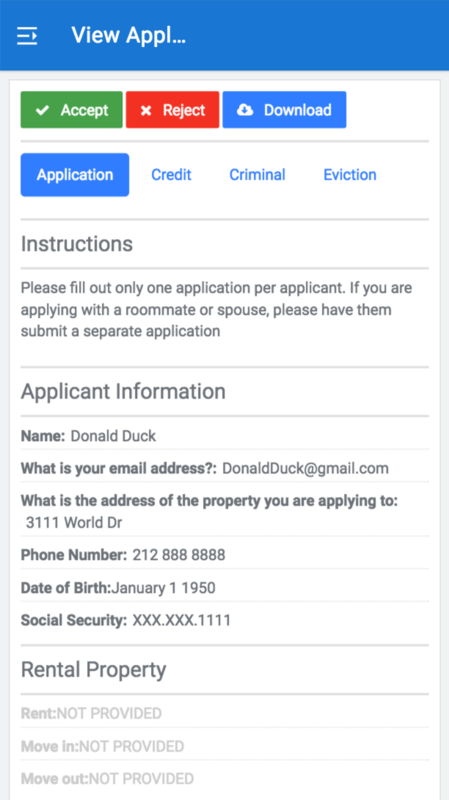 Sign up and get a unique link to your application. 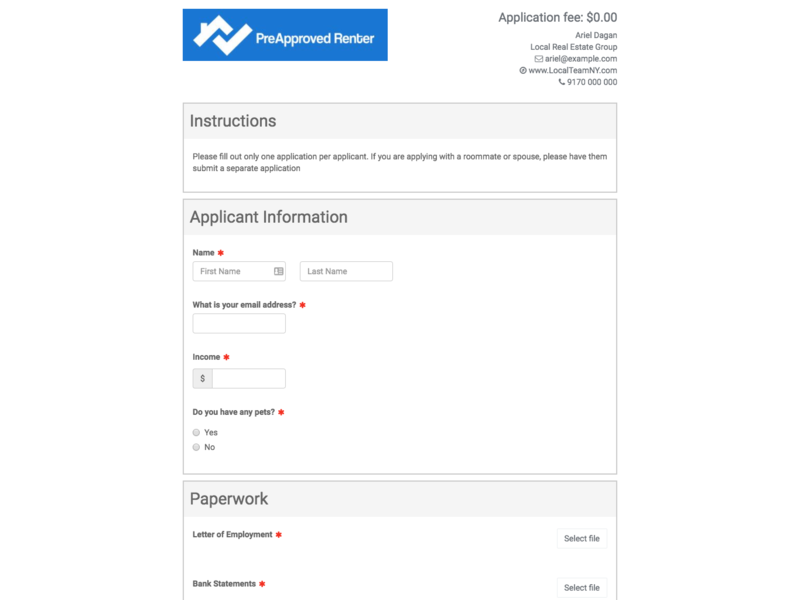 We also have links to 100s of other landlord applications. Simply send your applicant a link and they'll fill out an online application form. 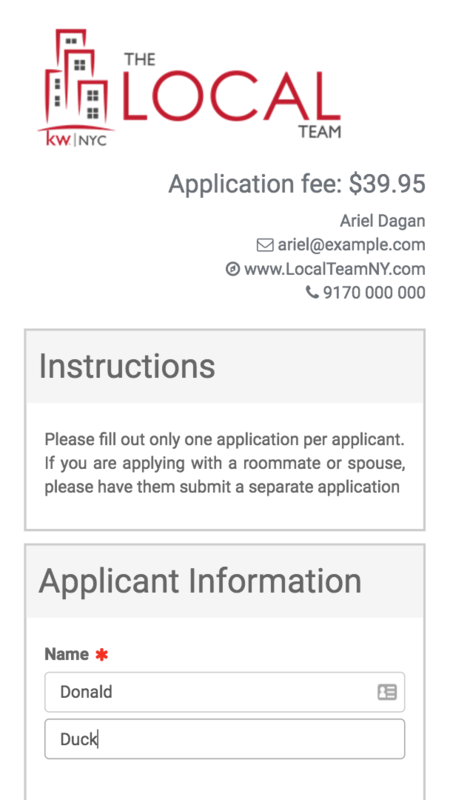 The applicant applies online through any internet connected device. Once they submit their application. We'll email you. Brokers that request their tenants paperwork prior to showing them apartments are much more likely to have a qualified tenant and close a deal. When you sign up you'll get a link to a form that you can send your clients so you can request their paperwork prior to taking them out. 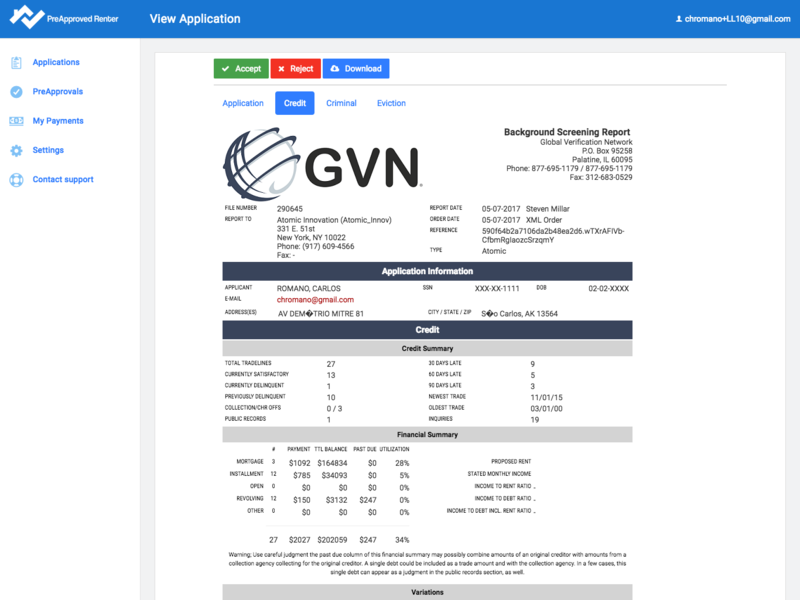 Our application is able to instantly produce background checks including credit reports, criminal background, landlord tenant history, verification of employement and residency. Payments are made through our secure online system. This take out the need to collect application fees via cash or check (unless you want to). Our system also allows landlords, property managers, and brokers to collect processing fees. We understand you may request specific information on your application. 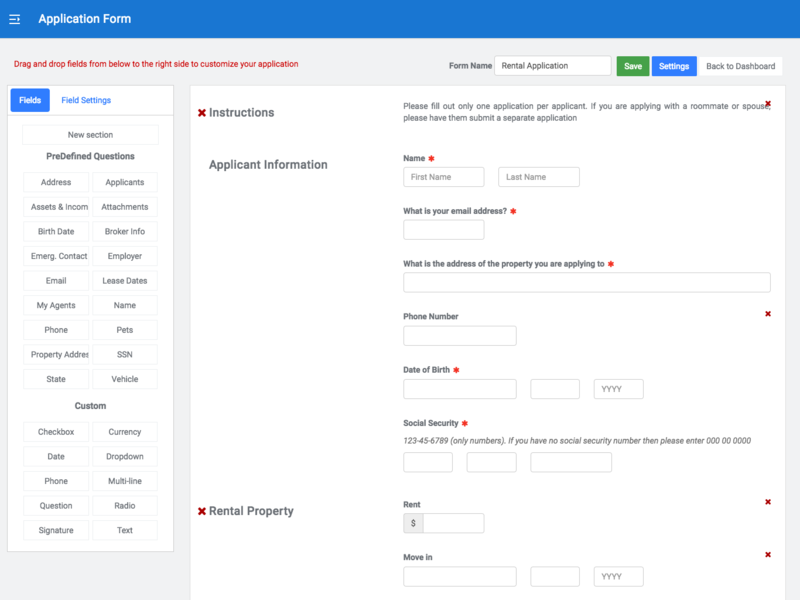 If you don't like our default form you can easily customize your own application using our drag-and-drop form builder. 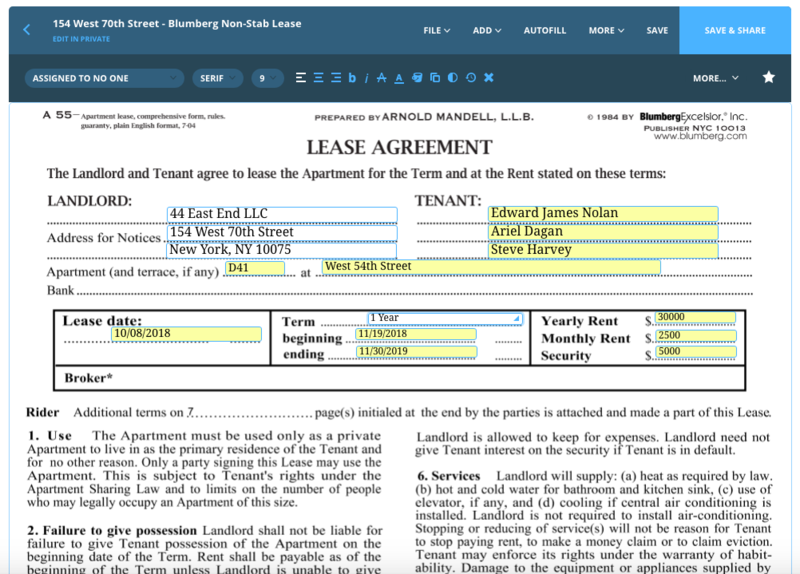 Our application is able to automatically generate leases, riders, disclosure forms and similar documents. We have partnered with dotloop - the leading real estate transaction management system - to help facilitate this.